1. Extreme Crisp Image Quality with 2560x1440 Resolution. 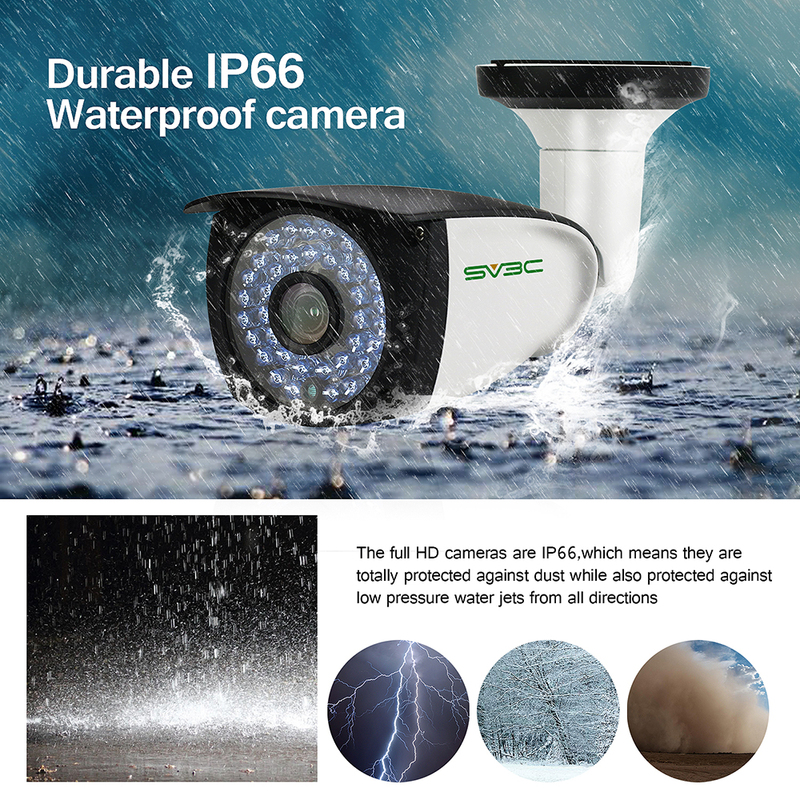 We insist that resolution be the key to each of a security camera so the sv3c security cameras are definitely capables with the image quality equal to its resolution. 2. Cloud Storage: Activate the cloud service on phone app with affordable charge-$5 one month, then you can view or playback the footage anywhere anytime. Suggest everyone of you opening cloud service then you can manage motion detection alarm to work. 3. Smart Motion detection: Accurate motion detect and Alarm. Manually schedule motion detection time, select motion detection area. Less false motion detection alarm and less interuption. 4. H.265 Video Compression: Save Storage Space and promotes more smoothly video output than H.264. 3rd party support list: Blue Iris, iSpy, Synology,Security Spy,XProtect,VLC etc.